Who invented the Chocolate Chip Cookie? 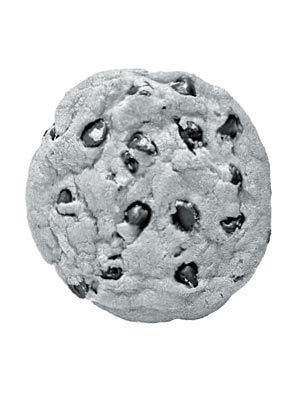 The name of the person credited with inventing the Chocolate Chip Cookie is Ruth Graves Wakefield (1903 - 1977). Ruth Graves Wakefield is not only famous as the American inventor of the Chocolate Chip Cookie but also as a chef, dietician, food lecturer, hotelier and business woman. When was the Chocolate Chip Cookie invented? Ruth Graves Wakefield invented the Chocolate Chip Cookie in 1938, during the Interwar period of invention (1918 - 1939). Definition of the Chocolate Chip Cookie: The Chocolate Chip Cookie is defined as a food in the form of a baked biscuit that originated in America and contains chips of chocolate as its distinguishing ingredient. Other countries have their own word for this delicious snack. In England and Australia cookies are called biscuits, in Spain they’re galletas and in the Netherlands the Dutch word koekje, meaning "small or little cake" is the origin of the word 'cookies'. Fact 1: Who invented the Chocolate Chip Cookie? The Chocolate Chip Cookie was invented by Ruth Graves Wakefield in 1938 during the Interwar Era of inventions (1918 - 1939) in the area of Food and Drink. Fact 2: Who invented the Chocolate Chip Cookie? Prior to the invention of the Chocolate Chip Cookie in 1938, the history of chocolate began with the drinking variety that was invented by the Mesoamericans (Mayans, Aztecs and Toltecs) more than 3000 years ago. Fact 3: Who invented the Chocolate Chip Cookie? The chocolate bar as we know it today was invented in following the invention of the Cocoa Press in 1828 by the Dutch inventor Coenraad van Houten. Fact 4: Who invented the Chocolate Chip Cookie? The invention of the Cocoa Press made it possible to combine cocoa powder with sugar and then remix it with cocoa butter to create a solid form of chocolate used to make candy bars. Fact 5: Who invented the Chocolate Chip Cookie? Other confectioners began experimenting with making new chocolate products and different types of candy bars were produced by manufacturers Joseph Storrs Fry who produced the Fry's Chocolate Cream bar in 1866, Milton Hershey launched the first "American" Candy bar (Hershey's Milk Bar) in 1900 and the Cadbury brothers launched the Cadbury Dairy Milk in 1905. Fact 6: Who invented the Chocolate Chip Cookie? Other products were produced including Baking chocolate, also referred to as baker's, bitter, or cooking chocolate, that was prepared or manufactured for baking. But no one had invented the choc chips until Ruth Graves Wakefield came up with the idea in 1938. Fact 7: Who invented the Chocolate Chip Cookie? The inventor of the Chocolate Chip Cookie, Ruth Graves Wakefield, was born on June 17, 1903 in East Walpole, Massachusetts, United States and died on January 10, 1977. Fact 8: Who invented the Chocolate Chip Cookie? The early years of Ruth Graves Wakefield were spent in East Walpole, Massachusetts where she was raised by her family. Ruth Graves was educated at Framingham State University and graduated from the Department of Household Arts in 1924. Fact 9: Who invented the Chocolate Chip Cookie? Following her education her first job was as a home economics teacher at Brockton High School, a hospital dietician and food lecturer. Fact 10: Who invented the Chocolate Chip Cookie? In 1926 Ruth Graves married Kenneth Donald Wakefield and the couple went on to have a son (Kenneth Jr. and a daughter, Mary Jane. Fact 11: Who invented the Chocolate Chip Cookie? In 1930 Kenneth and Ruth Wakefield bought a tourist lodge named the Toll House Inn located in Whitman, Massachusetts. Fact 12: Who invented the Chocolate Chip Cookie? Ruth Wakefield cooked all the food served at the Toll House Inn and over the years earned a reputation as a talented chef with a flair for making delicious desserts. Fact 13: Who invented the Chocolate Chip Cookie? Ruth Wakefield created her famous invention in 1938. The story goes that she was mixing a batch of Butter Drop Dough cookies for her guests when she discovered that she had run out of baker's chocolate. She substituted small broken pieces of Nestle's semi-sweet chocolate for the Baker's variety expecting it to melt and and be absorbed into the biscuit mixture. This did not happen! When Ruth took her cookies out of the oven she found that the little pieces of chocolate had not melted into the mixture and their texture was in tact. Fact 14: Who invented the Chocolate Chip Cookie? Like many other inventions the invention of the Chocolate Chip Cookie by Ruth Wakefield was an accident. She called her new dessert 'Toll House Crunch cookies' reflecting the nuts that she had also included in her recipe. Fact 15: Who invented the Chocolate Chip Cookie? Her guests loved her unique Cookies and Ruth Wakefield willingly shared her recipe with anyone that asked her for it. The recipe proved so popular that sales of Nestle chocolate significantly increased in the area. Fact 16: Who invented the Chocolate Chip Cookie? The sales people at Nestle investigated the rise in sales and discovered that Ruth Wakefield's recipe was the reason for the unexpected increase. Nestle negotiated a licence to use and promote her Toll House recipe, reprinting it on some of their products and through their advertising campaigns. Fact 17: Who invented the Chocolate Chip Cookie? The company called the recipe 'Nestlé Toll House Real Semi-Sweet Chocolate Morsels'. Ruth Wakefield received a financial incentive and a lifetime supply of Nestlé's Semi-Sweet chocolate and in 1940 the advertising campaign was run across national newspapers. Fact 18: Who invented the Chocolate Chip Cookie? Kenneth and Ruth Wakefield sold the Toll House Inn in 1966 when they retired. Fact 19: Who invented the Chocolate Chip Cookie? Ruth Graves Wakefield died on January 10, 1977 in the Jordan Hospital, Plymouth, Massachusetts. Fact 21: Legacy Ruth Graves Wakefield will always be remembered for her invention of the Chocolate Chip Cookie. She never forgot her start in life and left her collection of recipe books to Framingham State College.